3 Can I trust this app? Figuring out your LTE (4G) connection's type and signal strength can help diagnose network or connectivity problems, but Android's not very helpful with this out of the box. Thankfully, there are apps that will give you a bit more insight, and our favorite is a free download. Signal Spy is a simple, free tool that quickly and easily presents your current mobile network status including the connection technology (EDGE, HSPA, LTE), network band, signal strength, and carrier. First, you'll need to download it from the Play Store - here's a link. From there, just open the app, and it will provide you your current carrier, the connection technology, band (frequency), and signal strength. You'll need to provide the app telephony and location permissions for it to function properly, but aside from that, it's pretty plug and play: it should begin pulling your connection information immediately, and in a matter of seconds display it to you, as below. Interpreting the information Signal Spy provides really depends on what you seek to get out of it. If you're trying to verify whether your smartphone is connecting to a given LTE band in a certain location, for example, the app can even record your connection status and allow you to review it if you opt for the "pro" version - which is just a $2 in-app purchase. When you get a new smartphone, especially if you're coming from an older handset, it's possible your new phone will support LTE bands your old smartphone didn't. You can swap SIM cards between your devices and, using the app, see which one each phone connects to. Signal strength is a measure of how consistent and stable your connection to the cellular network is. 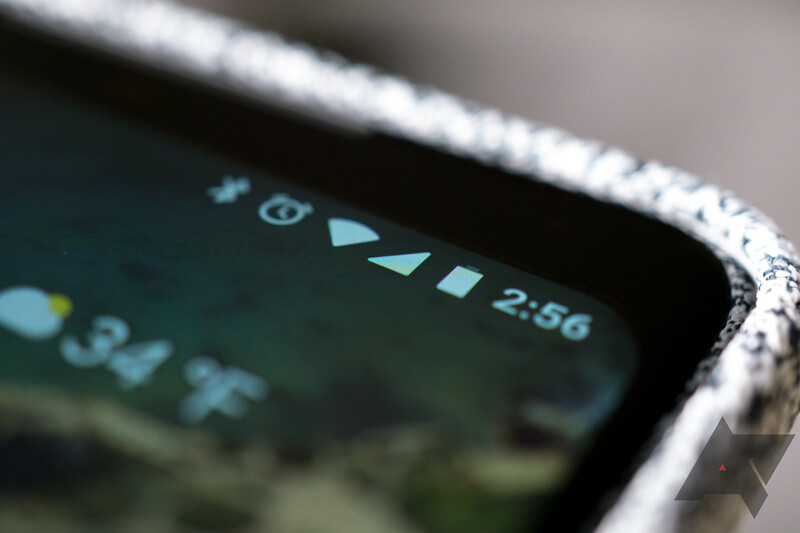 If you're dropping calls or losing data connectivity in certain places, monitoring the signal strength in real time could help you determine where your worst dead spots are. How weak is "too weak" to be usable? That really depends, but if your phone is reporting signal of -110dBm or "lower" (remember, gain is measured in the negative, so a "bigger" number like -110dBm is worse than -90dBm), it's likely your data reception is pretty bad. You may also wonder what the "GCI" number in the list is - it's essentially the identifier for the cellular tower you're currently connected to. It doesn't really tell you much on its own, but could help if you were doing some advanced troubleshooting with your carrier, I suppose. Can I trust this app? An app that monitors your phone's mobile signal should be trustworthy. Signal Spy does require the location and telephony permissions in order to run properly. You can read more about them on Signal Spy's FAQ. The telephony permission allows Signal Spy to read from your phone's telephony status in real time, and is obviously necessary to report the data the app gives you. The location permission allows Signal Spy to retrieve more accurate band and technology information utilizing the "coarse" location permission which pulls information from nearby cellular towers. While Signal Spy will work with the location permission disabled, it may not accurately report band (frequency) information. 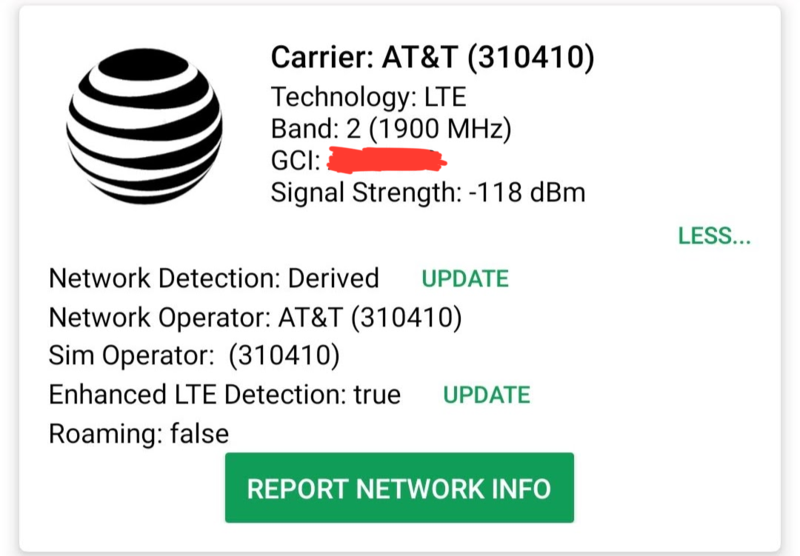 Signal Spy does collect more detailed anonymous data about your connectivity if you turn on the "enhanced LTE detection" feature. This feature will report your currently connected tower data to Signal Spy anonymously to help improve its LTE detection database, and also potentially provide you more up to date and accurate results when using the app. It is turned off by default, and is completely optional to use the app. There are other apps that can provide similar information about your LTE signal, but we like Signal Spy because it's simple and the developers do a good job keeping it up to date. However, here are a couple other options to explore. Network Cell Info Lite provides more detailed information than Signal Spy, though its interface is very... busy. But, some people may like the more graphically-focused data presentation of this app, and the Pro version allows logging and a few other features you may find worth $2. The Lite version of the app is linked below. LTE Discovery is similar to Signal Spy in terms of data representation, but does provide a bit more context to some of the information (like exact uplink and downlink frequncies). It also can just show your currently connected LTE band in the status bar - something people may find convenient.